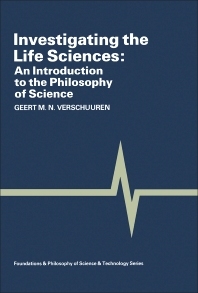 A unique introduction to the philosophy of science with special emphasis on the life sciences. Part I presents elementary but fundamental concepts and problems in epistemology and their relation to questions of scientific methodology. Part II deals with case studies from the history of biology which illustrate particular philosophical points while Part III progresses to more complex ideas as on the nature and methodology of science. Part IV discusses the limitations of scientific enquiry and its relations to other systems of knowledge and interpretation. For students of philosophy, philosophy of science and history of science. Also for life sciences students wishing to learn about the philosophical basis of their disciplines. Foreword. Introduction to science: some agreements. What is philosophy of science? Words, words...concepts. The origin of concepts. A matter of fact. The truth about facts. The genesis of science: some case studies. Harvey's 'discovery'. Bernard's 'organicism'. Mendel's 'Mendelism'. Darwin's 'revolution'. Simpson's 'gradualism'. The pattern(s) of science: some viewpoints. The level of science. The context of discovery. The context of justification. Explanation in the life sciences. The limits of science: some border areas. An all-round outlook. Reductionism in its simplicity. Determinism as a boomerang. The dualism of facts and values. A parable. Bibliography. Index.